DAYTON, OH—In a surprising move, Dayton Lodge No. 167 has now elected the longtime secretary of Elks Lodge No. 76. "We can not be happier," Worshipful Master Rod Fordham said. "We got Brother Plackett through the degrees as fast as possible. Anyone who has dealt with finding a good secretary knows you need someone with talent, patience, and above all, longevity. I know the Elks are furious with us but we did offer something more." "I cannot believe those damn Masons," Elks President George Kiwolski fumed. "I've been a member of both for decades and I thought we were square. The Masons had their silly costumes and the Elks had their lunch specials. But no, they go and do this. Plackett was the best secretary we've had in decades. I'm so mad, I even quit the Masons." Kiwolski continued, "I mean, you'd think the Masons would learn how to share. We already perform the same programming. Both organizations give out scholarships, both organizations have fish frys, and both organizations have American flags in their respective lodge rooms. We both have ritual that, even though we have competitions to show which lodge is more proficient, we really don't take all that seriously. You'd think that would mean something." Fordham seemed undeterred, "how could you not want to join us? 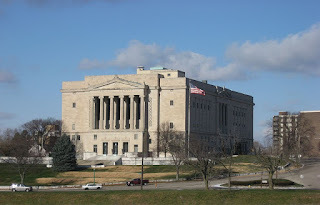 We have better ritual and a beautiful Scottish Rite Temple with its own office. Any secretary on the planet would love to work here. If the Elks want to compete, they'll just have to find a way to be more relevant." "Ultimately, we did what we had to do because no one else wanted to do the job. Margaret had the best qualifications for the job and we are lucky to have her."